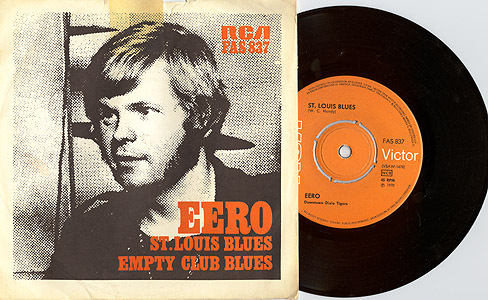 Biography: Eero Raittinen, born 1944 in Helsinki, Finland. Singer and drummer; lead singer with famous group Tasavallan Presidentti 1972-1974. Pekka Joh. "Albert" Järvinen, born 1950, died 1991. Member of Kalevala, and later, Hurriganes.